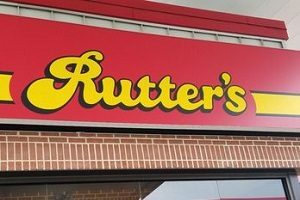 Rutter’s a longtime favorite convenience store in Central Pennsylvania, has begun expanding into neighboring West Virginia. 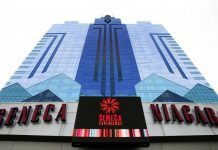 With that, expansion has come the expansion of digital gambling machines, which are legal in both states. 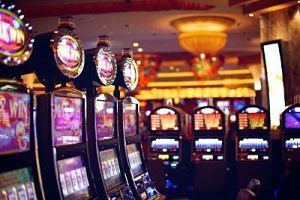 Digital gambling machines, a recent entry into gambling in Pennsylvania, put over $300 million into state coffers, and West Virginia is hoping that the same benefits Pennsylvania is seeing from its gaming will repeat in its state as well. Rutter’s began in Central Pennsylvania over 50 years ago as Rutter’s Farm Stores. The founders of Rutter’s came from a German farming family that had been farming in the area for over 250 years. The original intent of the convenience stores was to offer farm-fresh produce to customers in the state that did not mean they had to drive out to the country to get fresh produce. However, the stores have evolved over the years to modern convenience stores. Rutter’s began in York, Pennsylvania, and their headquarters are in the small town close to the Maryland border. Rutter’s has 69 locations. The company opened their first store outside central Pennsylvania when they opened a convenience store in Inman, West Virginia, which is about 35 miles from Pennsylvania. The company also sells beverages throughout Pennsylvania, West Virginia, Maryland and New Jersey. Digital Gaming Machines are the newest generation of slot machines. In the past, slot machines operated with a series of wheels that acted as random number generators. The oldest slot machines worked with reels that showed a variety of different fruit. The original payoff of a slot machine was 20 nickels. Gradually, slot machines have become bigger and more sophisticated. While the original slot machine had three reels, the newer slot machines have up to 15 reels, which usually results in bigger payouts for winners. The newest digital gambling machines play a variety of different slot games, all with updated video and audio graphics. Instead of relying on random number generators inside the game itself, the digital gaming machines use a central computer to generate winners and losers. Fans of the slot machines seem to like the digital gaming machines, because the odds of winning are generated via computer rather than a wheel within a machine. Both Pennsylvania and West Virginia have moved drastically forward in terms of gambling in the last few years. Both states have historically been against gambling. However, the economies of both Pennsylvania and West Virginia have changed. Pennsylvania had historically been an agricultural state, with steel and other manufacturing jobs transforming the economy. West Virginia had coal. However, both states have suffered from economic downturns. Pennsylvania has suffered from the downturn in manufacturing, which took hundreds of thousands of jobs from the area. West Virginia has seen the coal mining industry become a non-factor in their state’s economy as well. Both states were left struggling for ways to make up the difference in their state’s economies. 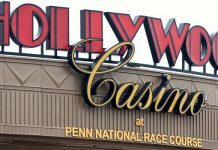 Pennsylvania, after decades of struggle, allowed gambling beginning in the 21st century. In 2004, the state first agreed to allow gambling. Over the next decade, gambling contributed hundreds of millions of dollars to the state’s economy. The state expanded their gambling footprint to include sports gambling and online gambling in 2018. The state also allowed convenience stores, such as Rutter’s, to have mini-casinos with digital slot machines. While West Virginia is a little behind Pennsylvania with regard to online gambling, it is expected the state will pass a bill legalizing it during this legislative session. In addition, West Virginia has also allowed gambling in the mini-casino variety in convenience stores as well. It appears both Rutter’s and West Virginia are going to expand their reach in 2019.